Ian had joined Nottingham Forest as a teenager but they released him, still aged just seventeen and he then signed for United. He made an impressive initial impact but was relegated to the reserves, making just fleeting appearances in the first team during his three years at Tannadice. 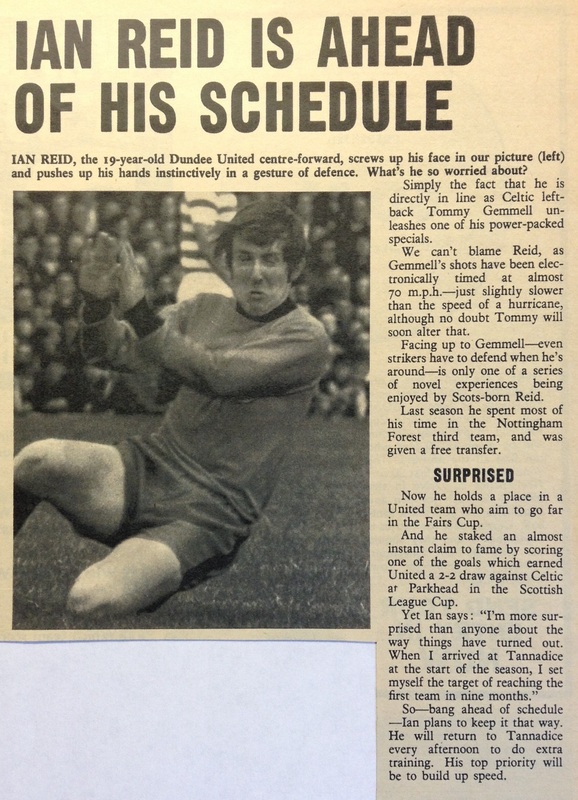 He finally left United to join Queen of the South in September 1973. Ian was born on this date in Glasgow. Our six match unbeaten run came to an end at the hands of Rangers who were in hot pursuit of Celtic at the top of the league. All the action came in the second half with John Greig the home hero of the hour. 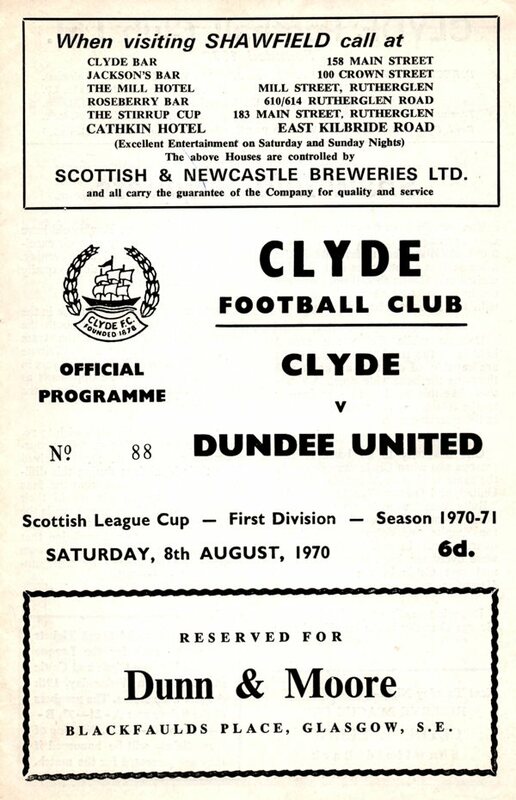 The Rangers' skipper put his side ahead in the 58th minute, but that lead was to last only five minutes, Ian Reid was the man in tangerine who levelled the scores. However, Rangers' title ambitions were not to be diminished at our hands because six minutes later in the 69th minute, Greig took his league tally to ten for the season, grabbing his second of the match to seal the points in front of the 30,000 inside Ibrox.